Fairfax County needs Election Officers for upcoming elections. 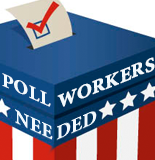 Election officers must be registered voters in Virginia and complete required training and forms. You may choose to accept the $175 stipend for a full day, or volunteer your time. For more information, visit the Office of Elections website by clicking on this link. After seven years of serving as an interpreter for U.S. forces in Afghanistan, Abdul Hameed and his family had to flee their native country after receiving threats from the Taliban. Hameed obtained a visa to bring his family over, with the promise of additional resettlement help from the State Department. But, when they arrived at the airport, no one met them. Hameed, his wife, and their two young children were ultimately provided with three months of housing assistance, but little else. In February, a group called Northern Virginia Military Ministry Outreach learned about the family’s situation and stepped up to help. NVMMO is a coalition of 10 Fairfax County churches that formed in 2013 to link the military ministries at various churches. They had run some small fundraisers before, but had not yet taken on a project as big as helping Hameed and his family, said Keith Saddler, a Fairfax resident and member of the group through St. George’s United Methodist Church. In February, Hameed and his family were living in a run-down apartment in Silver Spring, Md., with a mattress on the floor as their only furniture. NVMMO volunteers quickly worked to outfit the apartment with donated furniture and household items from Pender United Methodist Church’s thrift store, bought them food and gave them a small amount of spending money to help them get around on Metro and the bus. The group has continued to raise funds to help support the family, stepping in to pay the rent when they were threatened with eviction this month. Member churches have held small fundraisers, like a breakfast at Centreville United Methodist Church that raised $2,600, and they are also collecting donations online. 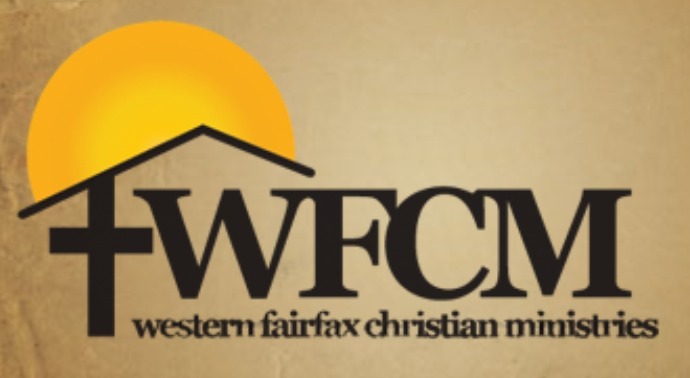 NVMMO is trying to help Hameed find a job and find the family an apartment in Fairfax County, so they can be closer to the churches that are supporting them. The organization is also trying to find a used car for Hameed, to make it easier for him to get to a job. Bill Shugarts, another NVMMO member, said his experience serving in Vietnam gives him a strong understanding of the importance of interpreters. The interpreters are in harm’s way along with the soldiers they’re assisting and, unlike soldiers, they serve for years at a time without the opportunity to leave the war zone, said Saddler, who is also a veteran. “Maybe they didn’t wear a U.S. Army uniform, but they went on missions,” he said. Once they have raised enough to help keep Hameed and his family going until they get settled, NVMMO hopes to continue working with the organization No One Left Behind to help other former interpreters who have had to flee their home countries. To donate, go to https://nolb.nationbuilder.com/hameed. Around a foot of snow has fallen across the county, so snow lovers are happy! It will continue to snow for a few more hours, but many of you will spend the day removing snow. If you or someone you are with begins to have chest discomfort, especially with one or more of the other signs of a heart attack, call 9-1-1 right away. 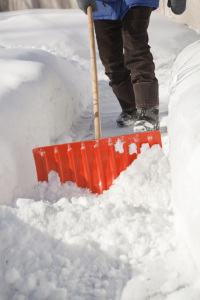 If you have a history of heart disease do not shovel without your doctor’s okay. Shovel small amounts of snow at a time. Medical personnel in Fairfax County needing a ride to the hospital today should call our non-emergency number, 703-691-2131, TTY 711, to arrange transportation. This service is only for Fairfax County residents/medical personnel that need to get to their hospital shifts. Transportation is being provided by volunteers through Volunteer Fairfax. Need 4 individuals (or a group) of strong individuals to help unload food at the pantry from 4:45pm – 6:30pm (ages 16 and older). ***MUST FILL OUT Application first to help. Sunrise Assisted Living has a 30 year history for enhancing the quality of life of seniors. Join them as they share resources and information on how to help families and seniors feel more independent in a secure and supportive environment. Tour their community, meet their team, participate in the Virtual Dementia Tour and enjoy a brain healthy brunch prepared by “Chef Eric Coleman”. Take home a Sunrise Recipe book and Caregiver Guide. Space is limited-contact Valerie Parker at 703-995-8283 to RSVP. 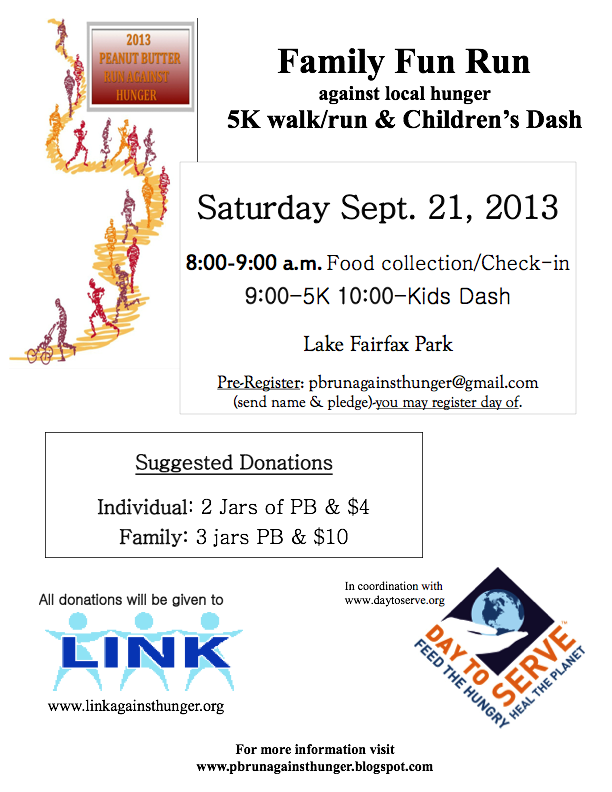 On Saturday September 21st, participate in a 5K Peanut Butter Run Against Hunger fun run and walk at Lake Fairfax Park in Reston. The event will raise money and food for LINK, a Loudoun County based food bank, to distribute to hungry families in the Reston, Chantilly, Sterling, Ashburn, and Herndon areas. Cost of admission? 2 jars of Peanut Butter & $4 or 3 jars of Peanut Butter & $10 per family. Providing emergency food to local people in need is the primary mission of LINK. Every month they deliver food to approximately 50-60 qualifying families and many more during the Thanksgiving and Christmas Holidays. LINK also makes food deliveries to other support organizations whenever possible, including the Embry Rucker Shelter, Good Shepherd Alliance Shelters, The Closet, William Waters House, and the Herndon Neighborhood Resource Center.